And so here it is – the ending to the Xenosaga Trilogy; the missing piece, the last chapter that will explain everything. Sort of. 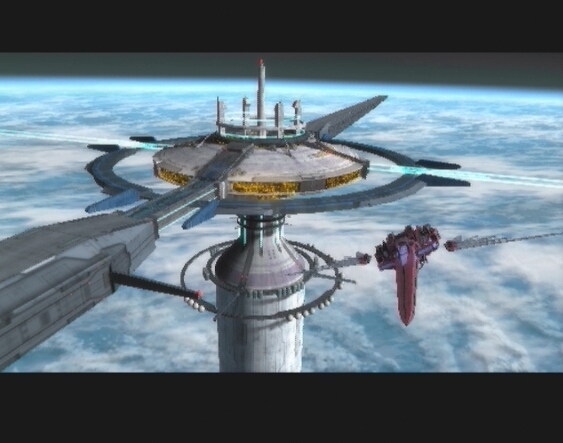 Even though the plot is well executed and still complex, Xenosaga 3 fails to give me all the answers. Or maybe I just need to play all the games over again. Nevertheless, this is such a solid game experience that everyone should take time to play. 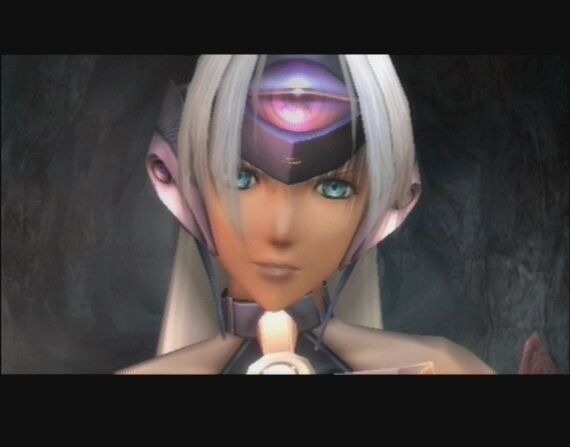 Gone are the faulty and ugly looks of the cast from Xenosaga 2. They now look more grown up, especially MOMO, but KOS-MOS is the only one who seems younger than before. 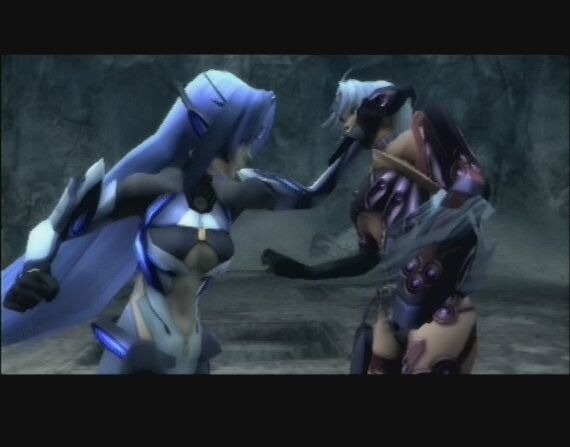 The detail is stunning and fighting sequences between KOS-MOS and her new enemy (playing a surprisingly small role, I would have liked to see more) T-elos are out of this world. I don’t think I’ve ever seen a game this beautiful. Well OK, maybe I have, but X3 ranks in my top three. The surroundings are as far from sterile as they can be; lush forests, wide beaches, and empty caverns where the air stands still. It is truly awesome and I love every second of it. How lucky then that X3 lasts for longer than X2 did. The battle system has changed again. It has been simplified, now you only press “attack” instead of doing button combinations. 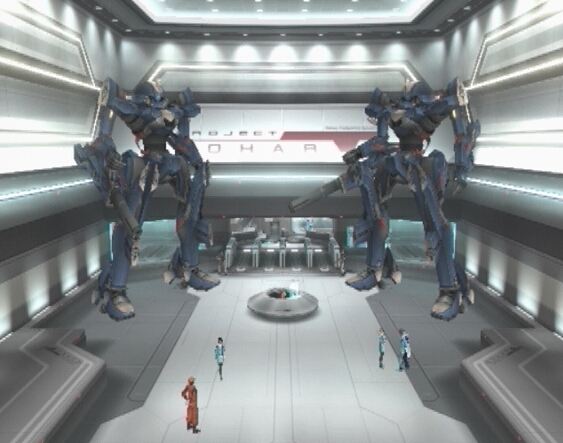 I miss the old way, because the battle system of X2 was really great. But this works too. But, the boost command might as well have been replaced with something else. Now you get boost points for the whole group and not just an individual. And the special attacks that can be performed, all steal break points. I never even once boosted in the fights, something I used to do all the time before. The enemies don’t boost that much either, but it happens. Another thing that is new is the Finish Break. This is something you get when you finish off one or several enemies with a special attack. It’s wise to get this as much as possible, since you get more skill points and EXP if you do. This goes for the epic battles with your ES:es as well. As usual you can only be three at a time when fighting, but you can change your characters and those who aren’t in your battle team will gain XP too, just not as much. The skill system has changed as well, and I like this version too. I would’ve loved to get all the skills there was, but in the end I focused mainly on finishing the game. Remember the different traps that you could activate in the field? Now you have one sort of trap, and you have to place it yourself before activating it. I didn’t use this feature often, instead I’d run into enemies from behind, causing a back attack. 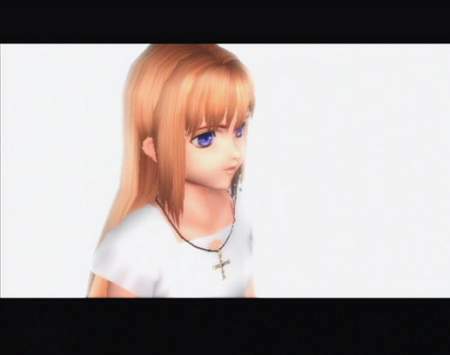 Xenosaga 3 does not strive to be a “movie-game” like its predecessors did. In fact, a lot of the cut scenes are done with characters being too far away, so you can hardly see their facial expressions. To compensate, developers have used a window where the characters faces and lines show. It works, but I guess I miss the old ways. But there are still some awesome sequences here. I think Yuki Kajiura has outdone herself. 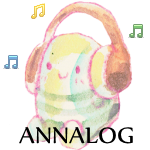 Xenosaga 3 has an amazing soundtrack. The tune The Battle of Your Soul is fierce and takes hold of you and In a Limestone Cave is a soft, gentle tune that makes you feel happy and sad all at once. The whole score is a must-hear. What really made me happy is that the original cast is back as far as I can tell. Except chaos, he’s still sounding horny. It’s so good to hear Shion sound like her old self. All the voice actors are doing a great job, as usual. I can really feel for every single character. I love them all, so very dearly. As I said before, the ending was not really what I expected. A lot of things that happened during the final hours were definitely tiny shockers. 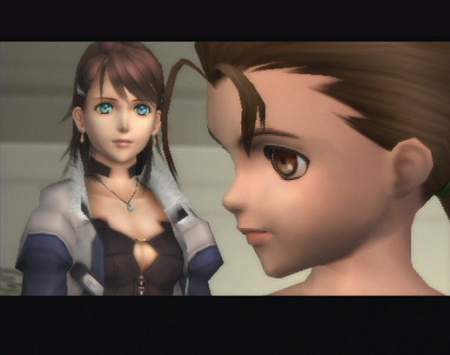 It almost feels like there could be a Xenosaga 4, and I for one would really like to see that happen. 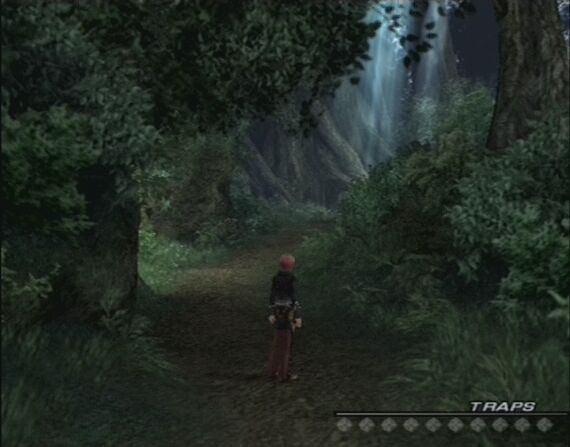 The Xenosaga universe is so grand and has so many undiscovered corners. Its characters are complex and although they are all given plenty of time in the games, I want to get to know them even better. 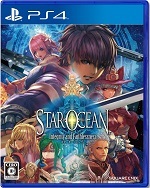 How about a prequel NamcoBandai? Pretty please? To conclude, dive into this universe and you’ll never wanna leave it again.